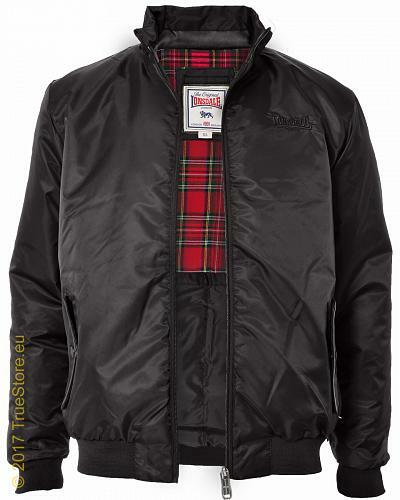 Lonsdale Sanna is a modern nylon version of the legendary Lonsdale Harrington jacket.. Nylon oxford shell, lightly padded and lined with the typical tartan lining combined with a smooth satin for comfort. The harrington look comes back with the 2 flappockets, yoke line at the back and the short stand up collar. 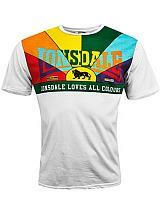 Branded with a tone in tone Lonsdale logo embroidery. Perfect for the inbetween seasons, like Autumn and Spring. 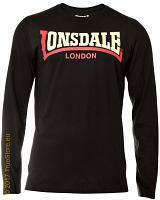 Available in black in sizes S till XXL. 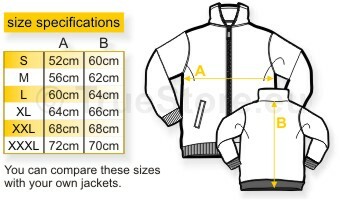 Due to the genuine classic Harrington cut, the fitting of this jacket is generally at least one size smaller as other Lonsdale garments. Please pay attention to this while ordering.